Buprenorphine is a semi-synthetic opioid derived from thebaine. It is an analgesic (pain killer) and has gained a great deal of notoriety for its ability to interrupt severe opiate addiction, including heroin and methadone addictions. 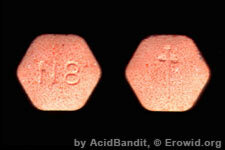 It was approved by the FDA in 2002 for use as an opiate addiction treatment.